Music in the American Wild is a touring celebration of the 2016 US National Park Service centennial, featuring new music inspired by and performed in national parks across the country. Eleven composers and seven performers, all affiliated with Eastman School of Music as faculty or alumni, have collaborated to honor this milestone of conservation by creating new works inspired by the national parks and performing them in the natural theaters of the parks themselves. The mission of Music in the American Wild is to enhance the park-going experience by encouraging audiences to explore and interact with their parks in a new way, through music. Along the way, Music in the American Wild is also performing concerts in nearby cities, joining in the National Park Service centennial initiative, “Find Your Park,” to inspire new audiences to interface with parks in their own communities. 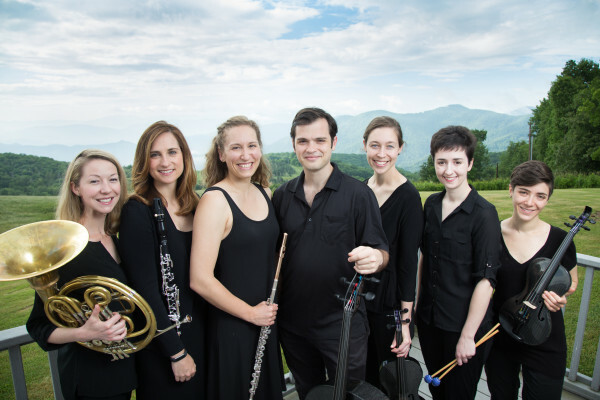 In June, Music in the American Wild toured three parks in the southeast: Mammoth Cave, Great Smoky Mountains, and Shenandoah National Parks, performing and recording in scenic locations from mountaintops to caves 30 feet underground. During their August tour of the Pacific Northwest, Music in the American Wild will continue their centennial celebration with performances at Mount Rainier, North Cascades, Olympic, and San Juan Island National Parks. Music in the American Wild is supported in part by the National Endowment for the Arts.